No matter where you are in Columbus, there is sure to be a fun, family-friendly Independence Day celebration close by. All events are free unless stated otherwise. Columbus’ best and biggest fireworks display will start at 10 p.m. on July 1. The celebration starts at noon Friday with recreational activities at Columbia Gas’ Children’s Park, followed by Taste of BOOM!, the Red, White & BOOM! Parade and more. Want to avoid the downtown crowds? You can also enjoy a great view of the fireworks from Berliner Park at 325 Greenlawn Avenue. Parking and admission are free. For more details and a full activities schedule, click here. The Columbus tradition continues as the Columbus Symphony Orchestra brings you patriotic classics. 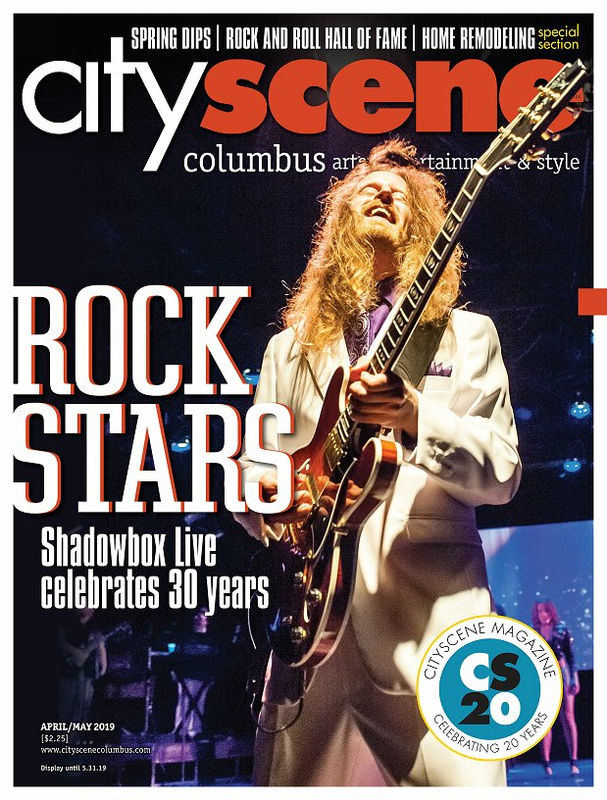 This upbeat concert kicks off at 8 p.m. on July 2 at the Columbus Commons. The concert is followed by a fireworks show. Attendees are encouraged to bring a small blanket or lawn chair. General admission is $25 and $10 for children ages 3-14. Click here for more information. Dublin’s Independence Day festivities begin at 8 a.m. on July 4. Highlights include the parade through Historic Dublin at 11 a.m., a series of concerts beginning at 5 p.m. featuring KC & the Sunshine Band and Joan Jett & the Blackhearts and the fireworks show at 9:50 p.m. Both the concerts and fireworks show will be held at the Dublin Coffman High School Stadium. Entry to the stadium is $5 per person; seating on the football field and surrounding areas is free. Click here for more information. Everyone is welcome at Central College Presbyterian Church’s Freedom Celebration, which starts at 6 p.m. on July 3. Five food trucks will be present. There will also be games for children and live music from 7 p.m. until the fireworks start at 10 p.m. Click here for more information. The City of Westerville will launch fireworks at dusk on July 4 from Alum Creek Park South near Park Meadow Road and Schrock Road. For timing and weather updates, follow the City of Westerville Twitter account @tellwesterville. Upper Arlington’s highly anticipated 4th of July events include the parade at 9 a.m., Party in the Park at 5 p.m. and fireworks at 10 p.m. The parade will run from the intersection of Northwest Boulevard and Zollinger Road to the intersection of Northwest Boulevard and North Star Road. The fireworks show will take place at Northam Park. For more information, visit the Upper Arlington Civic Association. The City of Pickerington will celebrate the 4th of July at Victory Park. The park opens at 4 p.m. and fireworks start at 10 p.m., following an afternoon of rides, food, live music and the parade. Click here for more info. New Albany’s parade will feature floats, tractors and Disney characters. The parade kicks off at 10:30 a.m. on July 4 at the middle school parking lot next to the McCoy Center. Later in the day, head to New Albany High School’s green space at 7600 Fodor Rd for the 4th of July evening festival and fireworks. The festival starts at 6:30 p.m. and includes a climbing wall, live music, bounce houses, face painting, food vendors and more. Fireworks begin at 10 p.m. Click here for more info. This year’s stunning fireworks display will be hosted by the Worthington Hills Country Club at dusk on Monday, July 4. Attendees are encouraged to bring lawn chairs and blankets for seating. Worthington’s fireworks show will serve as the grand finale for this year’s activities, which include community softball games, Fun Fest carnival, 5K run/walk and 4th of July parade. For the full rundown of activities, click here. Grove City’s fireworks show starts at 9:50 p.m. at the Grove City High School stadium. Come early to hear performances by High South at 6-8 p.m. and the Grove City High School Marching Band at 8:30-9:45 p.m. The Grove City Church of the Nazarene will have games, inflatables, a rock climbing wall and food trucks from 6-9 p.m. Blankets and lawn chairs are permitted. Click here for details. Celebrate July 4 at Whetstone Park. A full day of fun activities lead up to the fireworks show at 10 p.m. For the full schedule, click here. Hilliard’s fireworks will take place at dusk at Roger A. Reynolds Municipal on July 4. Rides, food and games at the Municipal Park will precede the fireworks shows, as well as Parade Awards and an Elvis tribute band performance at Hilliard’s Station Park from 5-7 p.m. For more info, click here. Katie Ellington is a contributing writer. Feedback welcome at gbishop@cityscenemediagroup.com.